You are here: Home / Redeeming Theology / What is the Lake of Fire in the Bible? 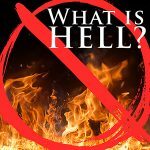 Is it hell? Between now and then, I will be focusing my podcasts studies on some of the content from the book. 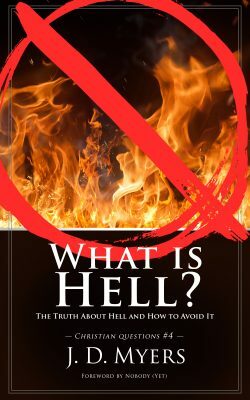 We will look at several key terms from the Bible that are often equated with hell, and about a dozen key passages that are thought to teach about hell. In previous studies, we have looked at the words sheol, gehenna, abyss, tartarus, hades, and the ‘outer darkness.’ In each case, we have seen that none of these words describe a place of everlasting torment for unbelievers in a place of burning fire. But what about the Lake of Fire? Surely this term refers to hell as a place of eternal suffering and torment in flames for unbelievers … doesn’t it? The image of the Lake of Fire in the book of Revelation has caused much consternation about the living conditions for the unredeemed dead. And while the image is thought to depict the eternal torment of non-Christians in hell, it has also been used to psychologically torment lots of people in this life. The thought of swimming around forever in a molten lake of lava is extremely distressing. So what is the Lake of Fire and how can we understand it? Most concepts of the Lake of Fire, however, teach that it is a place created by God where He sends the unredeemed dead to suffer and burn in torment for all eternity. A somewhat less horrific view is found among some Universalists who argue that the Lake of Fire is a temporary torture chamber where sinners have all their impurities burned out of them before they are allowed entrance into heaven. Another view I have recently encountered argues that the Lake of Fire refers to the temporal destruction of Jerusalem in 70 AD. 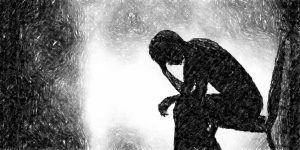 But whether we are talking about unending torture or a shorter period of time, many people are (rightly) concerned with the idea of God torturing and burning anyone. Does God want us to torture people? No! We are called to love and serve. So is it okay for God to do what He forbids us from doing? Some think so, but I do not. I believe God’s commands to humanity are based on His own character and nature, and He sets the example for us to follow. But if this is the case, then we must understand what John meant when he wrote about the Lake of Fire in Revelation 20:10, 14-15, and Revelation 21:8. Thankfully, when John wrote about the Lake of Fire, he was not thinking about tortured souls screaming in agony from being boiled in lava for all eternity. We know this because of the symbolic nature of the book of Revelation. Yes, the book should be read and studied seriously, giving careful attention to its words, images, and ideas, but we must never forget that nearly every picture and event in the book of Revelation is full of allusions to the Hebrew Scriptures, Christ-centered theology, Roman politics, and ancient Mediterranean culture. When we begin to study the symbolism of Revelation and look for clues in the first century Mediterranean world about what John might have been referring to when he wrote about the Lake of Fire, it does not take long to discover that there was an actual “Lake of Fire” in his day that he was referring to. This lake still exists today and you can go swim in it if you would like. But do not worry, for while you might get a sunburn, the lake itself will not burn you. But more on that in a bit. To help us understand the imagery that John is using, as well as the identity and location of the Lake of Fire, imagine if someone today told you that they were going to live in Salt Lake. Would you think that this person would be floating around all day in the salty water of a Utah lake? No, you would understand that they were moving to the city called “Salt Lake” which is on the shore of a salty lake, and that it would be possible to live in Salt Lake for their entire life without ever setting foot in the lake of salt. Or, to use another example, what if you heard that someone was going to visit the Valley of Fire on their vacation. Would you think that they were going to visit a place where they would get incinerated and tortured in flames? This would not be much of a vacation. 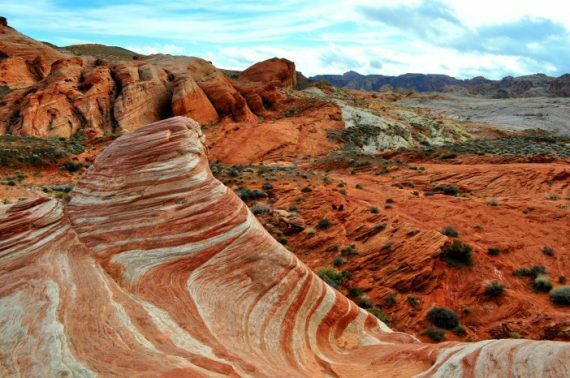 Instead, if you were not familiar with the Valley of Fire, you might look it up online, and discover that it is a popular tourist destination about one hour from the city of Las Vegas. It would be foolish to assume that just because it mentions “fire,” this means that anyone who visits the Valley of Fire will be tormented or tortured in flames while they were there. It means no such thing. About 300,000 people go into the Valley of Fire each year, and they all come back, none the worse for wear. A nearly identical situation occurs with “the Lake of Fire.” It was (and is) a literal place on planet earth. And since many people today (and throughout church history) do not know where this location is, they have wrongly assumed that John was describing an eternal place of fiery torture in the afterlife for the unredeemed dead. So what and where is the Lake of Fire? In the days of Jesus and John, what we now call the Dead Sea was referred to by some as the Lake of Fire, or the Fiery Lake (Jersak, Her Gates Will Never Be Shut, 82-87; Spencer, The Genesis Pursuit, 185-212). But the Greeks were not the only ones to describe the sea in such a way. The Wisdom of Solomon also records that Lot “escaped the fire that came on the Five Cities, cities whose wickedness is still attested by a smoking waste” (Wisdom of Solomon 10:7). Diodorus Siculus, a first century BC historian, wrote this about this region: “The fire which burns beneath the ground and the stench render the inhabitants of the neighboring country sickly and very short lived” (Diodorus Siculus, Bibliotheca Historica, Volume II:48.6). Philo, writing in the days before the ministry of Jesus, said that the valley of the Dead Sea was filled with fires, which were very difficult to extinguish, and that many of these fires had been smoking and burning for a very long time, even to his own day (On Abraham, XXVII:141). When Josephus was writing his history of the Jewish wars, he said that one could still see the burnt remnants of the five cities, and that fruit from the region dissolves into smoke and ashes if plucked (The Wars of the Jews, IV:8.4.483-484). 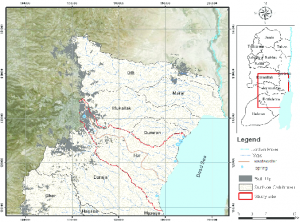 The first century geographer Strabo called the valley “a land of fires” because there were frequent boiling outbursts of fire in the region, and the entire area smelled of sulfur and brimstone (The Geography of Strabo, XVI:2.42-44). Even in more recent times, others have noted similar things about the valley. When the explorer Volney visited the region in 1787, he reported that “this valley [is] the seat of subterranean fire, which is not yet extinguished. Clouds of smoke are often observed to issue from the lake” (Travels, I:281-282). In 1848, a scientific investigation of the region by a man named Lynch reported that the valley held a strong smell of sulfuret hydrogen (Journal of Royal Geographical Society, XVIII: 127). He also wrote that he witnessed a purple vapor rising above the Dead Sea, “contrasting strangely with the extraordinary color of the sea beneath and, where they blended in the distance, giving it the appearance of smoke from burning sulfur. It seemed a vast cauldron of metal, fused but motionless. In the afternoon of the same day, it looked like molten lead” (Ibid, 276, 324). Some modern scholars and commentators have noted this as well. For example, John Gill, in his Exposition of the Entire Bible, in the section on Revelation 20:14-15, points out that the Dead Sea was also called the sulpherous lake, the lake of asphaltites, and the bituminous lake. The Jewish people understood that the lake sat in the valley which used to be home to the cities of Sodom and Gomorrah, and so whatever idolatrous or sinful thing the Jewish people wanted to get rid of, they would cast it into the Salt Sea. Gill quotes the Babylonian Talmud as saying that “any vessels that had on them the image of the sun, or of the moon, or of a dragon, ‘let them cast them into the salt sea’” (Avoda Zara, 42.2; 49.1; 53.1; 71.2; Nazir 24.2; 26.1-2; Bava Metzia 52.2; Temura 22.2; Meila 9.2; 10:1). This image of being cast into the salt sea is very similar to what John writes in Revelation 21:8. 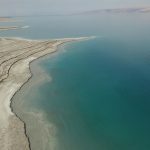 Geologists have discovered large pockets of gas trapped under the sediment … in the southern Dead Sea. [When these bubbles escape or are] released into the atmosphere by an earthquake, it would only take a spark to ignite a giant inferno; a vast ball of flame raining down. One wonders if such a scenario ever occurred as people traveled along the edges of the Dead Sea, thereby causing it to also be named the Fire Sea. Indeed, one author even suggests that the lake itself occasionally caught on fire (Spencer, The Genesis Pursuit, 197). It is also critical to remember that the ancient site of Sodom and Gomorrah are beneath the southern edge of the Dead Sea, where, on the western shore, there sits Mount Sodom and a rock formation called “Lot’s wife.” These images and memories of the destruction that came upon the cities of this valley help explain the list of sins that John mentions in Revelation 21:8. So there is much historical evidence to see that in the first century, when people heard about the Lake of Fire, they understood this to be a symbol for the region that we now call the Dead Sea. But how are people cast into the Lake of Fire? After the destruction of Jerusalem in 70 AD, the bodies of over one million Jews were thrown into the Valley of Hinnom outside of Jerusalem, where they were then burned. When the rains come, much that is in the valley is washed down into the Dead Sea through the Wadi an-Nar, or the “Streambed of Fire” (Spencer, The Genesis Pursuit, 197). So it is a historical fact that as a result of the destruction of Jerusalem, over a million people ended up being cast into the Lake of Fire, also known as the Dead Sea. Furthermore, many Jews of that time believed that if a body was burned to ashes and did not receive a burial, then that person would not be raised from the dead in the future resurrection (Spencer, The Genesis Pursuit, 197). With all of this in mind, how then are we to understand the references to the Lake of Fire in Revelation 20:10, 14, and 21:8? Bradley Jersak sees these statements as an “apocalyptic threat of being leveled by the fire of God’s wrath, historically fulfilled through obliteration by foreign armies. In Revelation, the threat is specific to Jerusalem” (Jersak, Her Gates Will Never Be Shut, 87). 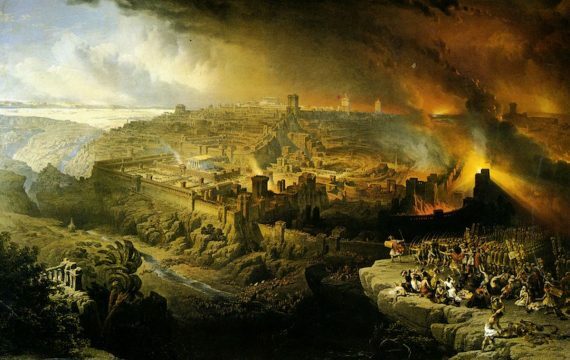 Indeed, passages like Isaiah 1:7-10 equate the city of Jerusalem with the cities of Sodom and Gomorrah, indicating that they will share similar fates. Other cities that behaved in similar ways also experienced similar ends (cf. Isa 34:8-10; Jer 49:17-18; Dan 7:9-11). But the destruction of Jerusalem was not the end of Jerusalem. Jerusalem was “resurrected” from the ashes, so that one can go and visit it today. Furthermore, Jerusalem will play a significant and prominent role in the future, including in eternity when a New Jerusalem comes down out of heaven from God (Rev 21:2). In this way, the restoration of Jerusalem appears to be a foreshadowing, or firstfruits, of the restoration of other cities that also experienced fiery judgment and destruction. For example, the description in Ezekiel 16:53-55 and 47:1-12 seems to indicate that the Dead Sea valley, along with the cities that are in them (which would include Sodom and Gomorrah), will also experience a restoration to fruitfulness, life, and fertility when Jesus returns and brings healing to this world. It seems, therefore, that there is something unique in eternity about being cast into the Lake of Fire. Though the cities of Sodom and Gomorrah were burned with fire and brimstone, they will be restored. Though Jerusalem was brought to ruin through fire and war, it too will be restored. But the things that are cast into the Lake of Fire do not seem to experience restoration. Being cast into the Lake of Fire is not about the wrath of God, invading armies, or even destruction by fire in this life or the next. Being cast into the Lake of Fire is not about being tortured in any way. Instead, those that are cast into the Lake of Fire are never heard from again. They have no more influence, power, or sway on this earth. This seems to be the symbolic significance of the Lake of Fire. And this indeed fits with what we read about the Lake of Fire in the book of Revelation. When Jesus comes again, He will banish the spirit of accusation and scapegoating (the devil), the idolatry of science and money (the beast), human religion (the false prophet), all useless and destructive ways of living (death), and the reign of hell on earth (hadēs). There is no possible restoration or redemption for accusation, idolatry, manmade religion, destruction, or the reign of hell. These are sent away into the sea of forgetfulness and have no more place on earth. The fact that intangible concepts or powers such as death and hadēs are cast into the Lake of Fire strongly indicates that the Lake of Fire itself is also intangible. That is, one cannot put an immaterial idea, concept, power, or force into something material. When we say that we have “love in our heart” we do not literally mean that the immaterial feeling of “love” is literally being stored in the blood-pumping organ of our body. Instead, since “love” is intangible and immaterial, this means that the word “heart” is also understood as symbolic, intangible, and immaterial. So also with throwing the immaterial death and hadēs into the Lake of Fire. Some might object that since I have just shown that the Lake of Fire was originally a literal place, namely, the Dead Sea, then the items thrown into it must also be literal, material objects. But it works the other way. Much like the symbol of gehenna, the literal place, cultural history, and theological significance of the Dead Sea provides insight into what it means to be cast into the Lake of Fire. Again, to use the analogy of love, if I say that my love for my wife extends higher than the moon, I am using a literal place (the moon) as a symbol to describe the extent of an immaterial concept (my love). The same is true with casting death and hadēs into the Lake of Fire. This imagery of things that are contrary to God being cast into the Lake of Fire would have been immediately identifiable to John’s reading audience. 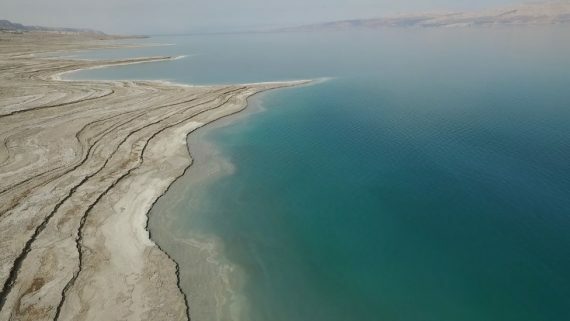 In the first century Jewish culture, people often made the journey to the Dead Sea to cast things into it which they considered to be sinful or idolatrous. The Talmudists devote ‘to the sea of Sodom’ anything that is destined to rejection and cursing, and that by no means is to be used (Lightfoot, A Commentary on the New Testament from the Talmud and Hebraica, 15). Lightfoot goes on to cite several quotes from the Jewish Talmud which describe this practice being carried out. But how are the things in the Lake of Fire Tormented Forever? 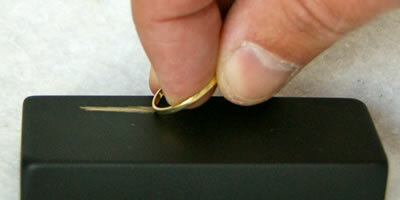 A touchstone (Gk., basanos) was a stone that was used to test the quality of metals, especially gold and silver coins. It was usually a fine-grained dark schist or jasper stone that was used to determine the purity of gold and silver coins by the streak left on the stone when rubbed with the metal. A basanos helped discover whether or not a coin was counterfeit. When used in reference to people, the verb form of the word can refer to physical suffering (Matt 8:6; Rev 9:5), hard toil (Mark 6:48), and the pain of childbirth (Rev 12:2). When used of inanimate objects, it has the idea of being buffeted and battered, like a ship in a storm (Matt 14:24). In the Gospels, the demons often ask Jesus if He has come to torment them before the set time (Matt 8:29; Mark 5:7; Luke 8:28). But in Revelation, the word only applies to the devil, the beast, and the false prophet (Rev 20:10), which are not “people,” but institutions or powers that had been twisted and perverted away from God’s will and design. These “things” will be “tormented” in that, like a counterfeit coin, they will be discarded and thrown out, having no more value, power, or influence in this world. They will be shown to be false and fake forgeries, twisted perversions of what God wanted and desired. Death, after all, does have a role in God’s good creation, as does religion (Jas 1:27), and the proper use of judging between right and wrong (accusation is a perversion of judgment). But the perversions of these are done away with in eternity. This is a judgment of ungodly structures and institutions; not primarily a judgment upon people. But doesn’t the text say that people are cast into the Lake of Fire? Revelation 20:13-15 says that the sea, and death, and hadēs gave up the dead that were in them, who are judged at the Great White Throne Judgment, before being cast into the Lake of Fire. And then Revelation 21:8 seems to list the sorts of people who are cast into the Lake of Fire, such as the cowardly, unbelieving, murderers, sexually immoral, and liars. If this judgment is not specifically upon people, then what is happening to the people who are described in these ways? Some scholars try to argue that John is referring only to a past historical event here, in which cities and nations were destroyed by fire. For example, since Sodom and Gomorrah were characterized by the sorts of behaviors described in Revelation 21:8, and since these cities were destroyed by fire, and since the “ruins” of these cities likely lie at the bottom of the Dead Sea (the Lake of Fire), some scholars say that this is what John is referring to in this text. But this cannot be the case, for when people died in those historical events, this was their first death. Revelation 20:13-15 says that people are resurrected and brought back to life to face judgment, and are then sent to the Lake of Fire. But note that the text does not say that the humans who end up in the Lake of Fire will be tormented by the Lake of Fire (Rev 20:15). Unlike the devil, the beast, and the false prophet, humans are not tormented in the Lake of Fire. They are actually sent there to escape torment. A careful reading of Revelation shows how this works. Earlier in Revelation, John wrote that the people who worship the beast and his image will “be tormented with fire and brimstone … and the smoke of their torment ascends forever and ever” (Rev 14:10-11). The word used for “torment” in Revelation 14:10-11 is the same word used in Revelation 20:10. But the torment that these people experience in Revelation 14:10-11 does not come from the Lake of Fire, because they are not there yet. They do not get sent to the Lake of Fire until after the Great White Throne judgment. The torment these people experience comes from “fire and brimstone,” which is what brought the initial destruction of Sodom and Gomorrah. The fact that the smoke ascends forever would remind the readers that the smoke of Sodom and Gomorrah was still ascending in the region of the Dead Sea to that very day. So is John saying that humans will get tormented after all, but in a different way? No, for John subverts the violent imagery of Revelation 14:10-11 in a subtle way. Isn’t this strange? They are only tormented when they are in the presence of Jesus (the Lamb) and the holy angels (which might represent the spirits of the church; cf. Rev 1:20). But does this mean that our entertainment in heaven will consist of watching people burn and suffer? It cannot be, for this would be less than restful (Rev 14:13). Quite to the contrary, it appears that John is saying that as long as these people worship the beast and his image (whatever they may represent), it is torment for them to be in the presence of Jesus and His righteous church. How is it torment? Earlier, in Revelation 11:10, John wrote that these same people were tormented by the preaching and presence of the two witnesses. This does not mean that the two witnesses were burning people alive with their sermons. It refers instead to the inner conviction one feels when they are presented with something that is contrary to their spirit or nature. Righteous people have this same experience when they are in the presence of wickedness (2 Pet 2:8). Therefore, the “torment” (Gk., basanizō) of humans in Revelation is not physical torture in fire, but refers to the spiritual vexation that unrighteous people experience when they are presented with the truth or when their behavior is challenged (Rev 11:10). In Revelation 11:10, the people who experienced this torment, tried to escape it by killing the two witnesses, but John writes in Revelation 14:10 that they will continue to experience the torment of the truth as long as they are in the presence of Jesus and the holy angels. Therefore, since Jesus knows that the life of those who worship Him is not compatible with the life of those who worship the beast, and that each group is tormented by the other, Jesus separates them so that neither group is tormented. In Revelation 20:14-15, out of love for the people who do not want to hear the truth, Jesus sends them to be with the beast, the false prophet, death, and hadēs in the Lake of Fire. They are not sent to be tormented, but to escape the convicting and “tormenting” presence of Jesus and the church. So what will their existence be like? What will they do? How will they live? What will existence be like for those in the Lake of Fire? It seems that the life in the Lake of Fire (which is not a literal place of burning and flame) is a place where people are allowed to live as they want. It is a place where they will be given true human freedom apart from God, which is what many people think they want, but which is actually not freedom; it is slavery. It will likely be similar to life on this present earth, but without physical death. While this initially sounds like heaven, such an existence will end up being hell. People who try to live life apart of from God, live life in a way that God never intended it to be lived. This way of living does not build loving relationships, but ruins and destroys them. It is a selfish, hateful, broken way of living. And a truly hellish existence is having no way out of this sort of living. True hell is an eternal existence in a sin-filled world without the blessed escape through death. Currently, we have a “way out” through death and resurrection. But if there is no death, there can be no resurrection, and so those who experience the eternal second death (living in the realm of death, but never dying) are living in a hell of their own making. Their eternal existence will be a life dominated by the sins mentioned in Revelation 21:8. In eternity, where there is no death to deliver a person from the devastation they have brought into their lives, this ongoing death will simply continue forever and ever. C. S. Lewis’ theological fantasy book, The Great Divorce, depicts what this sort of everlasting death might look like. In this life, as we destroy our families, friendships, and health, we draw into ourselves and become more and more separated from others over time. Death stops this process of separation so that we can finally see ourselves and others as we really are. Death and resurrection provide reconciliation, so that we can forgive and be forgiven, and begin to live in eternity with the love and grace that God desires. 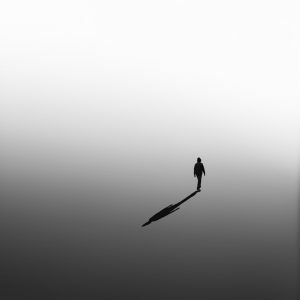 But in an eternal existence without God, where physical death is not an option, people will continue to separate themselves until eventually, they cut off all contact from everyone, and live solitary lives of self-centeredness and complete separation. For people who were created for community and relationships, this truly is a living hell. But it is a hell constructed by their own choices. So what is the Lake of Fire? It is literally the Dead Sea, into which all things are cast that are contrary to the will and ways of God. As a symbol, therefore, it refers to an existence without God. People who are sent to “the Lake of Fire” for eternity will not be tortured in flames for all eternity as more than people who live in Salt Lake are covered with salt as long as they live there. Those who exist in the Fiery Lake will be given the freedom they think they want, so they can live life as they please, apart from the guidelines and instructions of God. This way of living is not really “living,” however, and such people will ultimately find themselves separated, not only from God, but also from all other people. 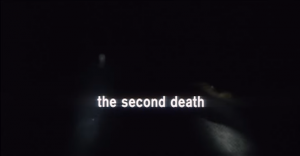 The Bible calls it the second death (Rev 21:8). 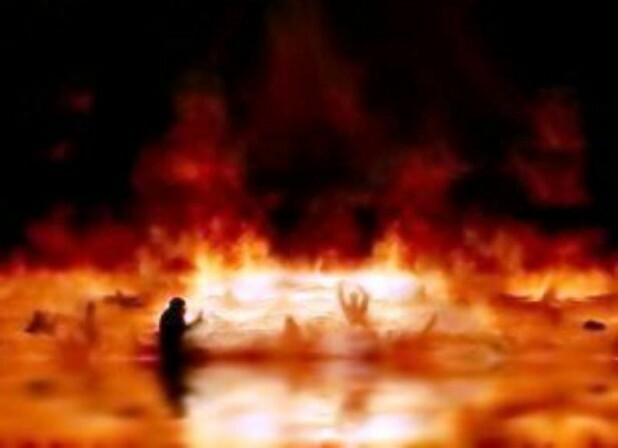 So the Lake of Fire is not traditional hell where people suffer and burn for eternity. They are not in torment there, but are sent there to escape their torment. While there, they can live according to their sinful desires, which will lead them into an eternal existence and experience of ongoing death. Wowzers! That explains a whole lot!!! Thank you! I highly respect this teacher. Great treatment of the Lake of Fire. I’ve also researched this subject and I was tracking with you up until the end. I believe it goes against the nature of God, whose actions are always remdemptive/restorative in nature, to allow people to be in an eternal/permanently separated state from God (also, it obliterates eternal security because a backslidden believer would be included in that group). Rather, I would suggest that God will allow people to go through that experience to turn them to the obvious choice, His love. Since “every knee will bow” it seems that every person will eventually turn by their own free will. Further, if “Her gates will never be shut,” wouldn’t that refer to those outside seeking a way in? I’m not so sure about this teacher. He splits a lot of hairs, and cites a ton of different non-Biblical sources. the non-biblical sources are required to help us understand how words were used and what they meant in the historical-cultural context in which they were written. This is Bible Study 101. Thanks! Looking forward to getting it published.